1. As a consequence of the entry into force of (EU) regulation 2016/679, related to the protection of the physical people with respect to the processing of personal data, the ZA.BE S.R.L. 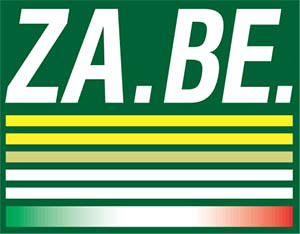 company in person of the legal representative pro tempore, located in Paitone (BS), Via Italia, 71/A, (VAT-number 01459290175, phone 030/6896941, e-mail ufficio@zabe.it) as holder of processing must provide you the information concerning the use of your personal data in his possession. 2. According to this legislation, the processing of your personal data as by way of example but not exhaustive: personal data, bank details, contract data, contact details, will be based on the principles of correctness, lawfulness, transparency and protection of privacy Act. -to satisfy every other contractual obligation and/or of law. 4. The legal basis for processing is represented by the necessity to perform contractual and/or pre-contractual fulfillments, pursuant to Article 6 paragraph 1 lett. b of EU Regulation 2016/679, as well as from the necessity to carry out legal obligations under Article 6 paragraph 1 lett. c.
5. We hereby notify that the provision of data is compulsory in order to establish a correct carrying out of the general contractual relationship, as well as to ensure the fulfilment of responsibilities, also of fiscal nature, required by law. The absence of communication or the data would prevent to establish and/or to carry out the contractual relationship. -other subjects to which the communication had to become necessary for the correct and complete carrying out of the contractual relationship and/or legal obligations. 7. Processing of personal data can be conducted with and without the aid of electronic support, and the data will be preserved for a period not superior than the time necessary in order to help achieve the target of this directive and /or to carry out legal obligations. We specifically state that totally automated decisional trials do not exist, but the data are processed through the evaluation of physical operators. 8. We inform you that it is your right to ask the Holder of the processing the access, correction, cancellation or restriction of processing of your personal data; it is also your right to object to the processing of your personal data and to practice the right to the portability. The rights of which to the present point can be practiced as pursuant to the articles 15, 16, 17, 18, 20, 21, of EU Regulation 2016/679, that for your convenience we hereby reproduce enclosed to the present notice. We also wish to underline that the Holder of the processing does not practice marketing activity or profiling. For further information and explanations, you may call the reception office of the Holder of the processing company at contact details stated on paragraph 1, demanding to talk to him in charge of acknowledgement for parties .9. It’s your right to claim to the authority of control by law. Article 15 the party’s access rights The party has the right to obtain notification from the holder of processing should there be any processing of his personal data in progress and in such case, should get access to the personal data and also the following information: a) the purposes of the processing; b) the categories of personal data in matter; c) the recipients or the categories of the recipients to whom the personal data have been or will be communicated, in particular if recipients of third countries or international organizations; d) whenever possible, the planned period of preservation of personal data, otherwise if not possible, the basis used to determine that period; e) the existence of the right of the party to request the holder of processing, rectification or erasure of personal data or the right to limit the processing of personal data concerning him or refuse their processing; f) the right to appeal and complain to the supervisory authority; g) should the personal data supplied have not been obtained from the subjects data, any available information as to their source; h) the existence of an automated decisional trial ,including the profiling of which the article 22, paragraph 1 and 4 and, at least in such cases, significant information on the used logistics, as well as the importance and the anticipated consequences of such processing for the party. 2. Where personal data are transferred to a third country or to an international organization, the data subject shall have the right to be informed of the appropriate safeguards pursuant to Article 46 relating to the transfer. 3. The processing controller shall provide a copy of the personal data object of processing. Should further copies be required by the party, the processing holder may charge a reasonable fee based on administrative costs. Should the party request by electronic form means, unless otherwise requested by the data subject, information shall be provided in an electronic format of common use. 4. The right to get a copy of which to the paragraph 3 must not injure the rights and other people’s liberty. Article 16 right of rectify The party has the right to get from the processing holder the rectification of any inaccurate personal data without any unjustified delay. Considering the purposes of the processing the party has the right to get the integration of the incomplete personal data, also providing a supplementary statement. Article 17 The right to erasure (right to be forgotten) 1. The party has the right to get from the processing holder the erasure of his/hers personal data without any undue delay and the processing holder must erase the personal data concerning him/her without any undue delay, where one of the following grounds applies: a) The personal data are no longer necessary in comparison to the finalities for which they have been gathered or otherwise processed; 4.5.2016 IT Official Journal of the European Union L 119/43 b) The party withdraws consent on which the processing is based according to Article 6, paragraph 1, point a), otherwise to Article 9,paragraph 2, point a), and where there is no other legal ground for the processing; c) The party objects to the processing pursuant to Article 21, paragraph 1, and there are no overriding legitimate grounds for the processing , or the party objects to the processing pursuant to Article 21, paragraph 2; d) the personal data have been unlawfully processed; e) the personal data must be canceled for carrying out an anticipated legal obligation by the right of the union or from the state member which the holder of the processing is subject; f) the personal data have been collected in relation to the offer of society services information referred to Article 8, paragraph 1.2. The processing holder, if he/she has made public personal data and he/she is forced pursuant to paragraph 1, to erase the data, keeping in mind the technology available and the costs of realization adopts the reasonable measures, including technical measures, to inform the holders which are processing the personal data of the parties request to erase any links, copy or reproduction of his/her personal data. 3. Paragraphs 1 and 2 shall not apply to the extent that processing is necessary: a) conditions governing the carrying out of the right to the liberty of expression and information; b)for the fulfillment of a legal obligation that asks for the anticipated processing from the right of the union or the state member which the holder of the processing is subject or for the performance of a task carried out in public interests or in the exercise of official authority of which the holder of processing is invested; c) for reasons of public interest in the area of public health in accordance with Article 9, paragraph 2, point h) and i) and Article 9, paragraph 3; d) to store fulfilling the public interest, for scientific or historical research or to statistic ends accordingly to Article 89, paragraph 1, to the extent in which the right as to paragraph 1 risks to make impossible or could seriously prevent the attainment of the objectives of such processing; and/or for the ascertaining, for the carrying out or defense of legal claims before a court. Article 18 Right to restriction of processing 1. The party has the right to get from the holder of processing the restriction of processing when one of the following hypotheses applies: a) the party contests the exactness of the personal data, for the time necessary for the holder of processing to check the accuracy of the personal data; b) the processing is unlawful and the party opposes the erasure of the personal data and requests the restriction of their use instead; c) although the holder of the processing no longer needs the personal data to the goals of processing, the personal data are necessary to the party for checking, the carrying out or the defense of legal claims before a court; d)the party has opposed to the processing pursuant to Article 21, paragraph 1, waiting for the verification whether the legitimate grounds of the holder override those of the data subject. 2. Where processing is limited pursuant to the norm paragraph 1, such data are processed, except that for the maintenance, only with the consent on behalf of the party for checking, the carrying out or the defense of a right before a court or in order to protect the rights of another physical individual juridical individual or for substantial public interest of the union or a state member. L 119/44 IT Official Journal of the European Union 4.5.2016 3. A data subject who has obtained restriction of processing pursuant to the norm from paragraph 1 shall be informed by the holder before the restriction of processing is lifted. Article 20 Right to have personal data transmitted 1. The party has the right to receive in structured format, of common and legible use from automatic device the personal data concerning him/her given to a holder of the processing and should have the right to have the personal data transmitted directly from one holder to another without impediments from the holder of the processing which has furnished them if: a) the processing is based on consent pursuant to the Article 6, paragraph 1, point a) or Article 9, paragraph 2, point a), or on a contract pursuant to the Article 6, paragraph 1, point b); and b) the processing is carried out by automated means. 2. In carrying out his/her right to data portability pursuant to paragraph 1, the party has the right to get the direct transmission of the personal data from one holder of the processing to the other, where technically possible. 3. The carrying out of the right referred to in paragraph 1 of the present article leaves unaffected preclude article 17. Such right is not applied to the necessary processing for the execution of an assignment of public interest or linked to the exercise of public powers of which the holder of the processing is run over. 4. The right of which to the paragraph 1 must not injure the rights or other people’s freedom. Article 21 right to object 1. The data subject has the right to oppose in any moment, for reasons relating to his/her particular situation, to the processing of data that concern him/her pursuant article 6, paragraf1, point e) or f) including profiling in accordance with these provisions. The holder of the processing abstains from him subsequently to process the personal data unless he proves the existence of legitimate motives compelling to proceed the processing that you/they prevail on the affairs, on the rights and freedoms of the data subject or for checking, the carrying out or the defense of a right in a court. 2. Where personal data are processed for direct marketing purposes, the party has the right to object at any time to processing of personal data concerning him/her for such marketing, which includes profiling to the extent that it is related to such direct marketing. 3. In the event that the data subject objects to processing for direct marketing purposes, the personal data shall no longer be object of processing for such finalities. 4.5.2016 IT official journal of the European union L 119/45 4. The right referred to in paragraphs 1 and 2 shall be explicitly brought to the attention of the data subject and shall be presented clearly and separately from any other information no later than the first communication with the party. 5. In the context of the use of information society services , and notwithstanding directive 2002/58/EC, the data subject may exercise his or her right to object by automated means using technical specifications. 6. Where personal data are processed for scientific or historical search or statistical purposes in accordance to article 89, paragraph 1, the party for reasons related to his/her particular situation, has the right to object processing of personal data concerning him/her, unless the processing is necessary for the execution of an assignment of public interest.